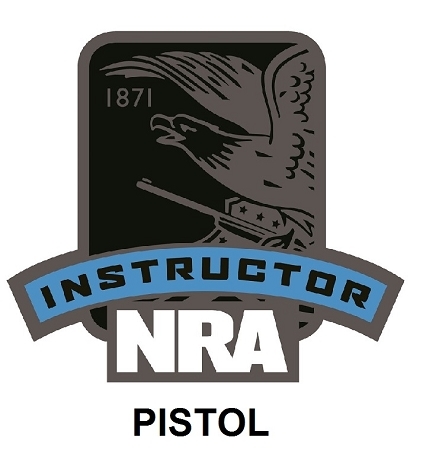 This class is the NRA Pistol Instructor Class. This class is approximately 16 hours long. We will cover single action revolvers, double action revolvers, and semi-auto pistols in this class. 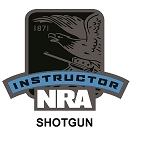 Students will learn how to teach NRA's rules for safe gun handling, range rules, range commands, fundamentals, assuming a proper two handed grip, learn how to safely operate a handgun, how to shoot from a bench rest position and how to shoot from the isosceles stance. You will need a pistol with iron sights, at least 20 rounds of ammo, hearing protection and eye protection. I would recommend bringing additional ammo with you. It is 20 rounds if you shoot perfect. Certifications are issued by the NRA Training Dept. There are certification and processing fees that are paid directly to NRA. The fees are $30 if you are an NRA member. The fees are $50 if you are not a NRA member. That is for a 2 year certification. This price doesn't include BIT. Please remember NRA Instructor courses are performance based courses. Students must possess the knowledge, skills and attitude necessary for this level of training. You do not pay and automatically pass instructor training. You pass to have the opportunity to pass.